Modern type is a simple, clean and graphic invitation suite. The monogram, text and foil color are customizable. 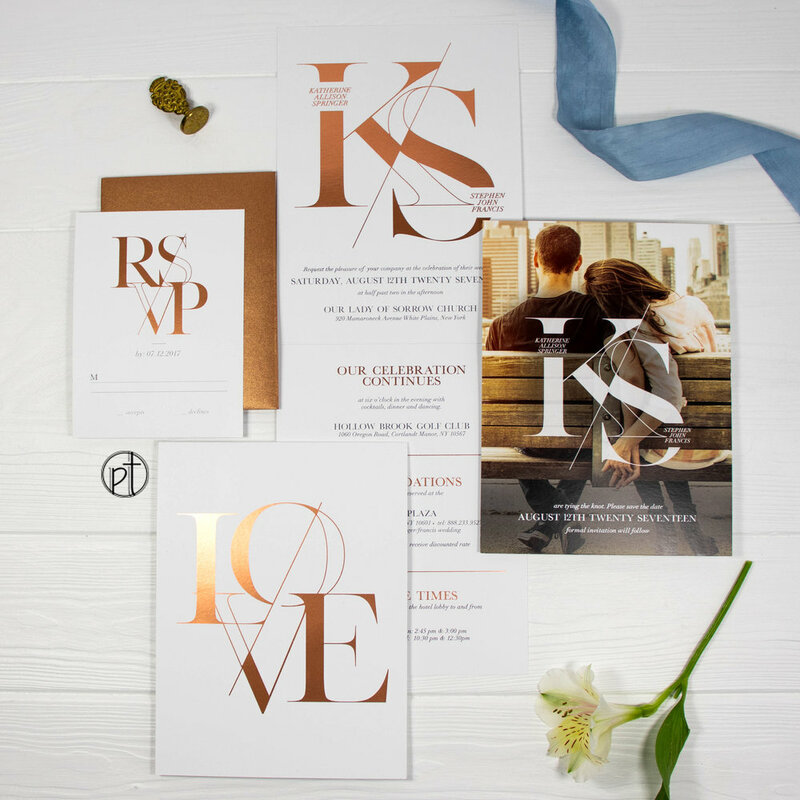 This suite is printed on heavy stock matte paper with flat rose gold foil. This foil is different than the traditional rose gold foil stamp, the foil is printed on the surface of the paper instead of making foil impression ( indent ) onto the paper. You have an option to choose from silver, rose gold or gold foil color.